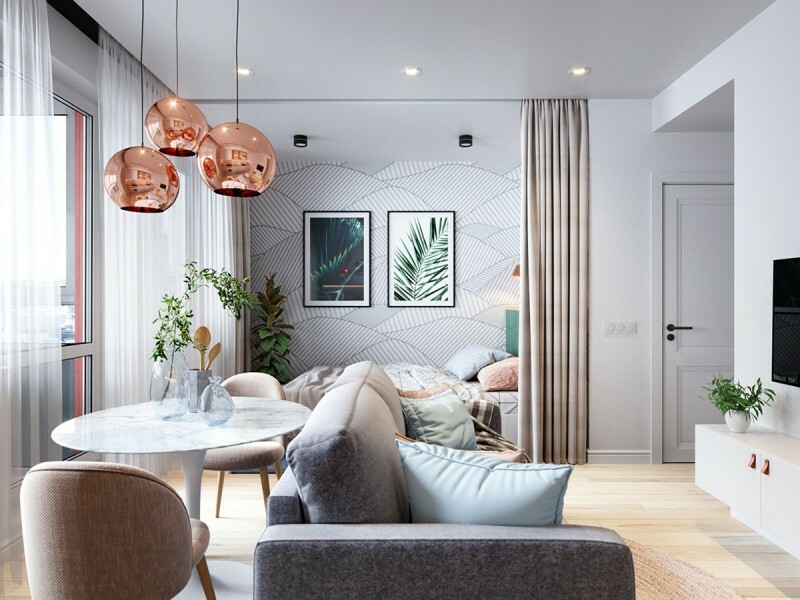 While many people are nervous and do not know what to do with their small apartments, these ones below do not seem to share the same nervousness. 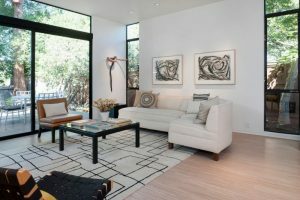 With small space, they successfully turn the small space into amazingly beautiful space that does not only serve the function but also offers comfortable looking. For those young people, decorating the apartment in the most practical way might be the thing they want to do, just like seen below. With modern look, neutral and soft colors are for the win. It will not make the room feel crowded but still can look comfortable. With the grey sofa for living room and small dining set behind, the room looks soft and practical. The copper pendant above it brings strong touch to the room. 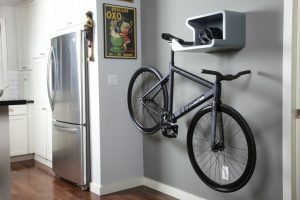 Combining modern and industrial features is always interesting. 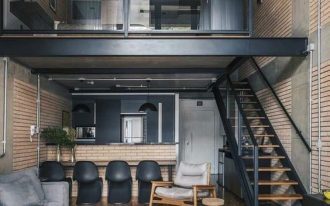 The exposed ceiling and rails on the wall brings old feeling to the apartment without looking actually old while the clean and neat lines bring out new and modern sight powerfully. 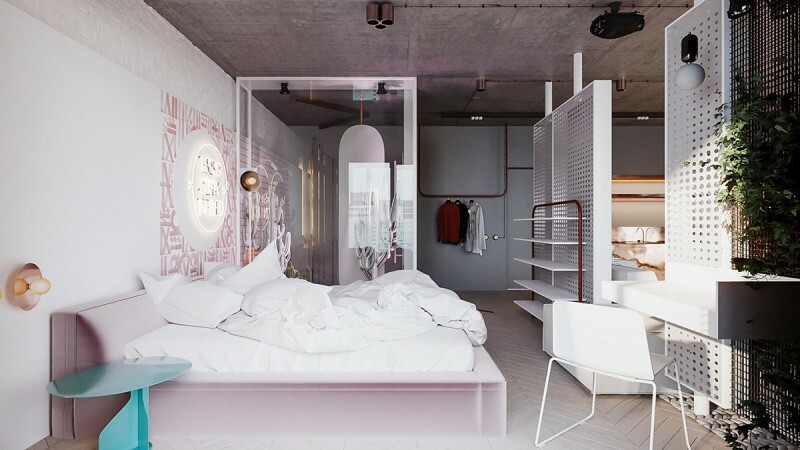 The rough look is balanced with the soft colored on the bed and cactus display that separates the bedroom with bathroom. 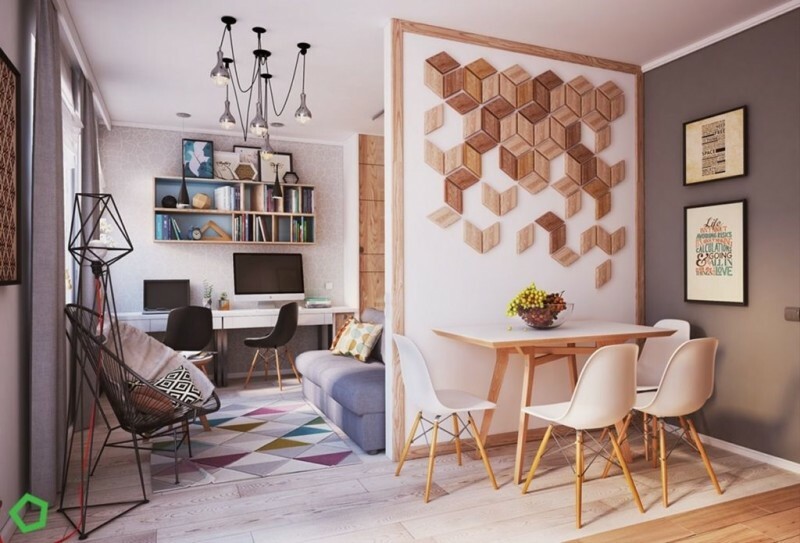 Apartment with certain shape can be really challenging as you have to fit your needs to the limited shape. However, this one here really kills the problem with L shaped apartment. 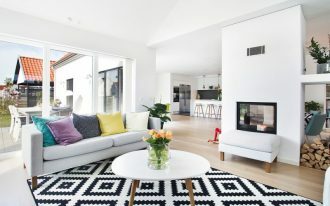 Putting the living area and all the comfort in the long and bigger space, including the island, the shorter and small space in entitled to be with the kitchen. 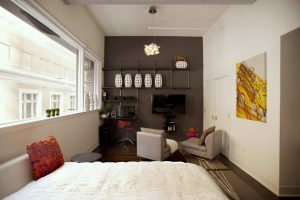 In this apartment, the room is decorated in stylish and comfortable items without being too bold and strong in seeking attention. The wooden material brings warmth and texture to this white room. And the floating shelves along the one side wall looks amazing. 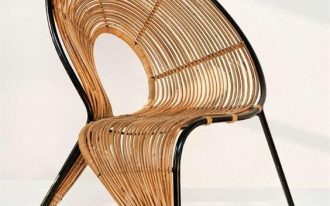 Making a small apartment comfortable can be done through wooden or natural material furniture. Seen below is a gorgeous apartment with all furniture is designed with wood from the floor, table, chair, kitchen, even the staged platform. It’s all mesmerizing in natural and modern look. As Scandinavian looks so simple and comfortable, it is so irresistible not to have it in the small space. 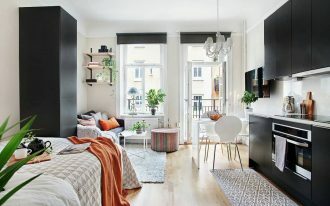 Modern and simple look is what a small space needs, and this one here kills it perfectly. The modern touch on the dining table and geometric shapes here and there brings modern vibe so strongly. 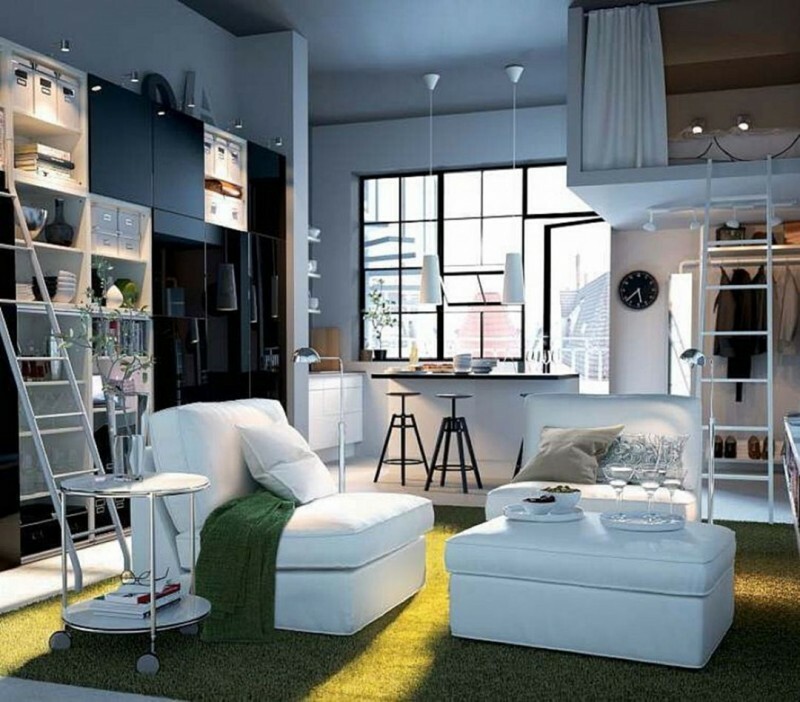 Small space can be a struggle but you just need to prioritize one thing in the room. This one here prioritizes the living room so that the other yields to the wall and make their own room, not without beautiful touch. 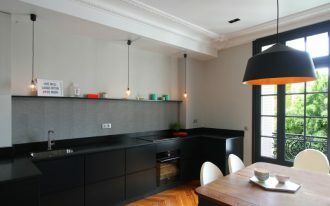 The corner for kitchen and island looks modern and practically decorated near the large glass window. The shelves and cupboard along the wall displays where the things are kept. And the space makes the bed on the above open closet. A small apartment can do pretty good even with simple curtain. A comfortable sofa placed in the living area with rug can brings out the comfort in the room along with floating corner shelves. 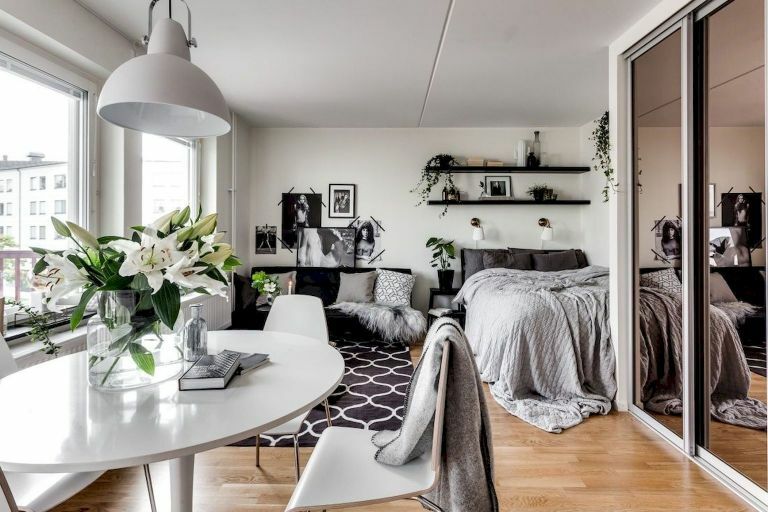 To make a small apartment feels wide and airy, making it an open room can be the best option, like seen in this one below. 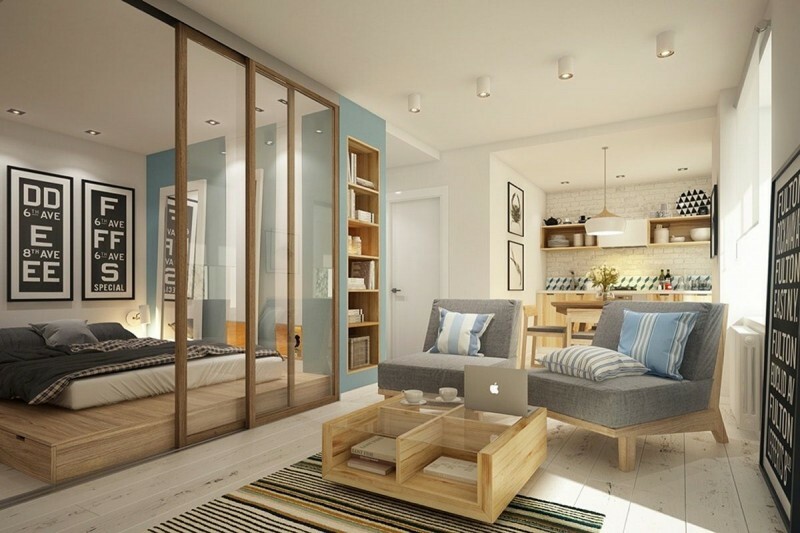 The bed, living area, and dining area are in one room without divider. The wooden floor and open brick wall brings warmth and comfort to the room. Having a large reflective side on wall can make the room feel deeper and larger, like a large windows too. 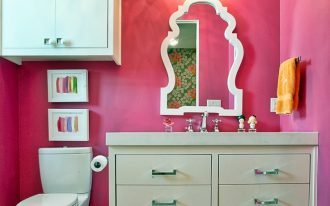 And this room enhance the room with both in two sides. 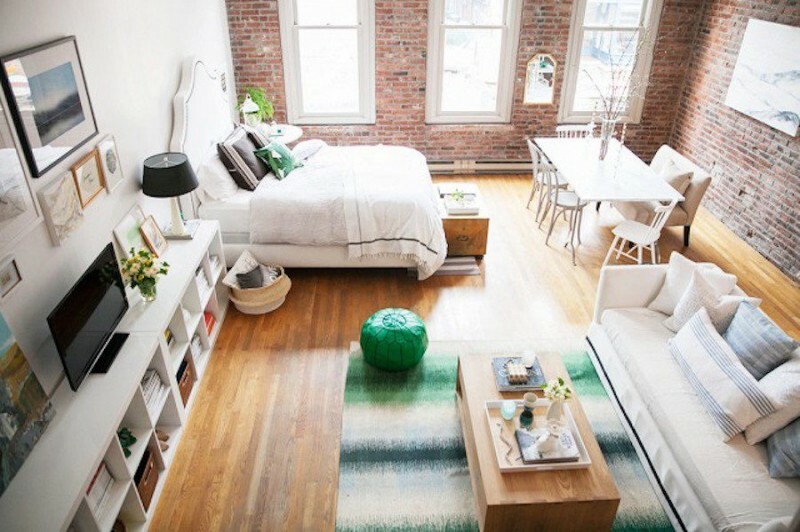 The room is simply arranged yet it looks complete and airy.